I had the opportunity to fish in Oklahoma in March, on three different lakes. The first lake was Arcadia Lake, fishing with seasoned anglers made this transition easier from my northern ice fishing season – minus 10 degrees back home to 75 degrees in the Sooner State – to the appeals of this lake's fish species. We used jigs and minnows for crappie, and swimbaits and crankbaits for bass along rocky areas and stump fields. The lake has catfish, crappie, white bass (sand bass) and striped bass (striper). 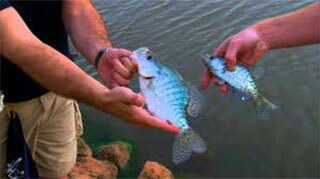 The first stocked fish, channel catfish and bluegill sunfish, arrived 25 years ago. 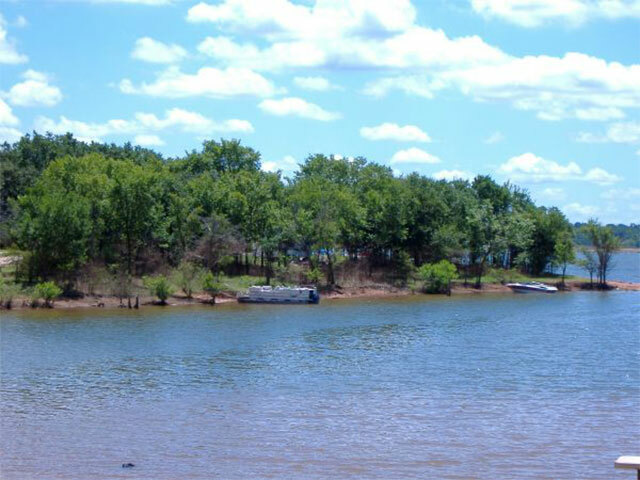 Arcadia Lake was built 25 years ago, created for the town of Edmond as a water reservoir, from an old quarry and a dozen ponds joined into one. Some of the original ponds weren't fished often but catfish flourished in them, which immediately gave the newly-formed lake older, mature fish. The record for the largest catfish caught is 74 pounds. A photo of the giant fish can be seen at a local bait shop. 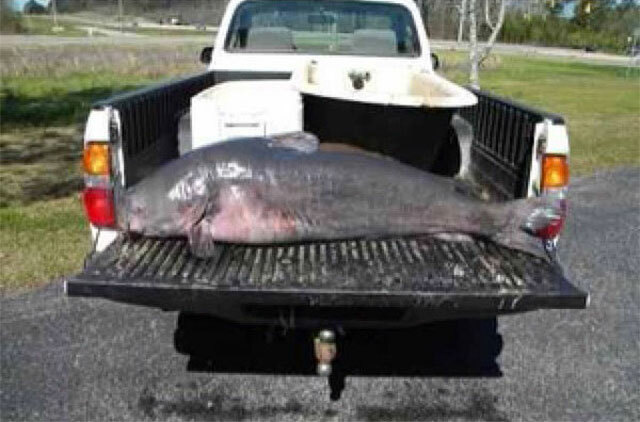 The fishing community and area residents say there is a catfish double that size referred to as "Big Blue" still residing in the lake. Fishing mid-day in March proved to be a trying day by only catching a few crappie, but still exciting to catch. Others were not as successful. Evening fishing for crappie and bass proved to be the better part of the day. It was quiet out on the lake for us; there were only a few boats, but I was warned that during weekends and summer this lake is filled with recreational boats. I am told that this is a fantastically fish lake, creating an angler's delight, especially anglers looking for big catfish. This lake is has an abundance of shad and after the sun sets they swim to the surface and what follows are monster-size catfish.